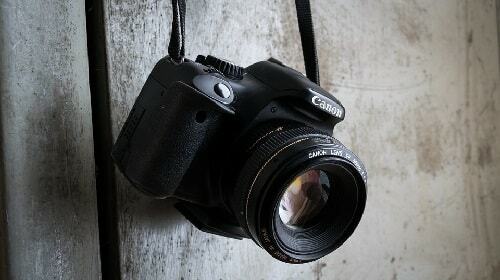 Photography is one of the most popular hobbies in the world. Whether it’s taking pictures of friends and family or snapping away while you are on holiday, we all take hundreds – if not thousands – of photos every year. Many creative people go on to make a career out of taking photographs, going out into the open world to focus on interesting people, landscapes and buildings. It’s a flexible job where you can work independently, but there is so much more to photography than simply taking photographs. Most successful photographers have undergone education in this field, or done online photography courses, such as the type that are available from NCC Home Learning. Courses like these can help you to learn techniques to take brilliant photographs. To become a successful photographer, here are a few key essential photography styles. Documentary photography documents a person, place, objects or event. The photo is natural and captures the real essence of the situation, and aims to capture real emotion. It’s often used for reporting, and is a popular choice for portraying scenes of war in the media, as well as for breaking news events and address serious issues in the world. While it’s often used for photojournalism, amateur photographers also like to take these types of photographs, as they tell a story. They don’t set the scene and don’t ask the subject to focus on the camera. The photo is not edited, so it stays as natural as possible. Street photography is emotive, and really captures humanity in its deepest form. For this photography method, pictures are shot in a public place, such as a high street or a park. The setting helps to create unique moments in real time. The subject doesn’t know that the photo is being taken, so the photographer captures a genuine moment. Street photography does not need to include a person, and can solely focus on animals, buildings, or an object. A great piece of street photography should produce emotions or show a story that strikes a chord with the viewer. It’s a very popular form of photography with the current generation, as it gives a real human feel to the shot. You don’t need to live in a city to take street photography; even small towns and villages can offer excellent settings for unique and engaging street photos. If you look at this article, you can see some great examples of this art form. Fine art photography is completely different than the styles discussed above. It’s more focused on the photographer’s point of view on the world. It gives an insight into what the artist is like, and offers a view into their perspective. While people, locations and objects might be featured in the photograph, it’s more focused on what the photographer is feeling at the time and what vision or message they want to show. For instance, they might focus on a word or a statement, and they might be trying to show a mood from the shot. The photographer will have a concept in mind before they take the photograph, and then they will edit the photo to make sure they give the right impression from the shot. Fine art photography is often displayed in a gallery or art studio. Another type of photography that captures breathtaking images is landscape photography. These photographs of an outdoor scene show you the beautiful details of the great outdoors, and how incredible nature can be. Whether it’s a photo of a lake or a field, a landscape photograph helps to capture the world in a new light, and it helps the viewer to feel like they are also experiencing a beautiful area. In fact, it might encourage them to visit a new area or place. A landscape image is often taken with the photographers’ vision in mind. For instance, they might want to show a damaged landscape or focus on particular details of the landscape. To capture landscape photography, you need a camera that can help you to obtain a highly detailed shot, and a tripod so that wherever you are, you can get that perfect photo. Portrait photography captures the details and features of a human or animal subject. It’s taken in a studio or at an event, and is one of the hardest types of photography as you need to capture the person in natural light while getting them to open up and show off their personality and character. Subjects often get shy and nervous when in front of a camera, and they might put on a fake expression which will hide their true self. Therefore, you need to work to help them to open up in order to ensure you get beautiful photos. Portrait photography tends to focus on the key features of a person, whether that is their eyes, nose or even smile. In this article from Photography Mad, you will find tips for taking excellent portrait photographs. Whether the person wants the photos for a professional portfolio or for personal reasons, make sure that they are shown in a good light. Just like a still life painting, a piece of still life photography captures natural items such as flowers, goods or objects on a table. There might be a single item or a group of items together that look striking when placed in the same area. The positioning of the items can make the picture unique. The interesting design of the items can also change the photograph. Bright colours or unique patterns can create a beautiful shot that will be looked at with wonder. Giving the objects a good balance of light, shadows and using interesting colours can also help to create a beautiful photo. One of the oldest forms of photography, still life is an interesting type as the photographer can design and compose the photo exactly how they wish, and can even convey subliminal messages in the way that they arrange inanimate objects. One of the most popular things about still life photography is that there is less equipment needed than with other styles. As described in Lens Magazine, you can take still life photography with natural daylight or a flash gun. Macro photography might be a lesser known style, but it’s definitely an interesting way of capturing a photo. It allows you to photograph items, animals, flowers and food in microscopic detail. To take a macro photograph, you need a good camera that allows you to use a close-up setting so that you can capture a breathtaking image. A lot of people look at obtaining macro lenses if they want to take these photos, or they find a camera with a macro mode to help them get good close-ups without losing any quality. After all, you need to magnify the subject in such detail that it feels they are almost life-sized. You don’t want to lose a good shot with a poor lens! You can take these photographs in any location, which gives you an infinite amount of subjects. For instance, you could go to the park and take photos of flowers or insects in close detail, or even just go into your garden to capture a beautiful photo. It’s now one of the most popular genres, and it’s a lot of fun for photographers to experiment with. It allows viewers to look at something they don’t usually see, and find beauty and fascination within. A lot of photographers love to shoot abstract photography. It gives the greatest freedom to create a brilliant shot that is interpreted differently by each viewer. The subject, whether that be a person, object or landscape, is often moving, isolated, in the distance, or not clear because the photographer wants the viewer to decide what it is. As a creative form of photography, it is very popular with photographers who like to experiment with their work. Abstract photography allows you to see objects very differently to how they are in their normal form. It really focuses on the colour, texture and shape to ensure that the photograph is eye-catching and thought-provoking. Abstract photography really draws people in and makes them feel complex emotions. You don’t need big studio lighting or tripods, just let the creative juices flow. Editorial photographs feature regularly in magazines and newspapers, and these photos are there to tell the story next to an article, feature or on the front cover. Often used to sell a story, editorial photographs will try to make a person feel a particular emotion. For instance, if it’s a sad article, there will be a photograph that aims to make people sympathise with the person in question. While the photographer should be creative with the shot, there might be specific rules for the photo to ensure it helps to tell the story. There might be certain lighting, locations, and specific composition required. The photo needs to show the subject in as much detail as possible so that it doesn’t require a description when people look at the photo. Unlike commercial photographs, there isn’t a lot of money involved, and the photographer tends to have a lot more say when it comes to the finished product. Therefore, providing editorial shots is often a great way to get your photos and your byline in a magazine. There are so many different types of photography out there that it can leave a new photographer confused when they are beginning their journey. Whether you fancy trying abstract photography so that you can get creative or street photography in a busy environment, you can give each type of photography a try to find your favourite style. 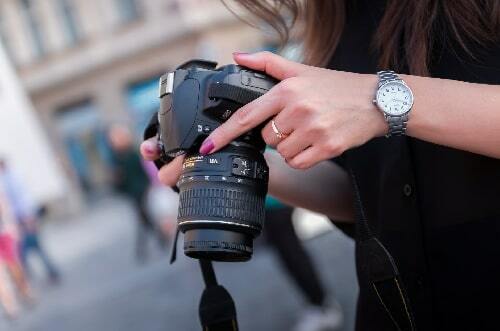 That way, you will learn about the different types of photography and build your skills. 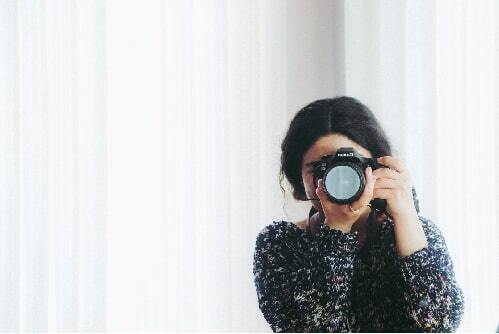 Just knowing these different styles of photography will help you on your way to becoming a professional photographer if you do want to turn your favourite hobby into a potential career. Be sure to check out our detailed guide that explains how to become a professional photographer.